If you’re a medical or behavioral healthcare provider and have been in practice for quite some time, than you probably know getting a raise is something that isn’t easy to come by. One way to get more more money coming into your practice is to get more patients, or you can add additional services, specialty equipment or procedures to your practice. There is also another way to increase your revenue; if you put in some effort and make sure you have the right people advocating for you — you can get the raise you’ve been desperately deserving. 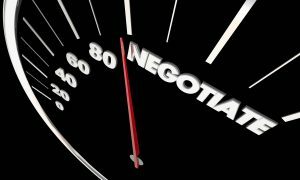 You can go about that by negotiating your rates and contracts with your insurance payers. Step 1 – Locate all your payor contracts and fee schedules. Are the correct amounts being collected per your current contract and fee schedule? Is the staff writing off claims that are not subject to contractual discounts? Step 3 – You must determine the gross collection ratio for each contracted payer. Step 4 – For each payer, determine if there are any extra costs to doing business with the payors above and beyond filing a claim and receiving your reimbursements. There are contracts that contain various obligations that a physician must meet; such as abiding by the insurer’s physician manual, providing particular medical services, being credentialed with a hospital of their choice, and meeting claim filing deadlines in exchange for payment (these are things you need to know and why reviewing your contracts are critical). This would also include staff time to obtain referrals and authorizations, refiling lost claims, researching denials and refiling improperly paid claims, appeals, time lost due to untimely payment and bad debt associated with large deductibles and copayments imposed by your contracts. You will need to put together a report to compare all of your contracts and fee schedules. 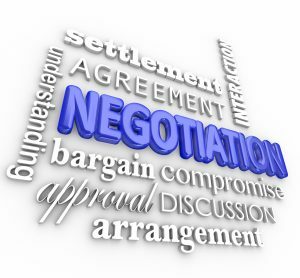 Step 7 – Determine which contracts don’t have acceptable fee schedules and this will be clear after going through the previous 6 steps.